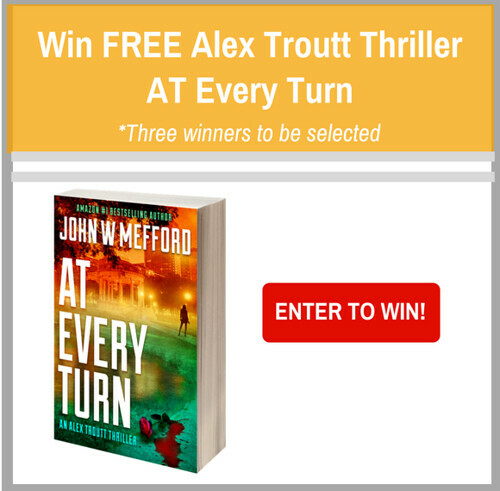 John W. Mefford has weaved his magic once again in his latest installment, At Every Turn, book #10 in the Alex Troutt series. 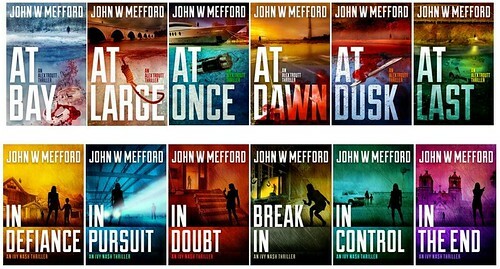 I have no clue how he creates such nail-biting and thrilling stories, which keeps you guessing from start to the end. At the beginning of At Every Turn, Alex is caught up in the middle of a white-collar criminal investigation. Meanwhile, a serial killer dubbed the Rose killer is on the loose. The killer leaves a rose at the crime scene, hence the name. There are similarities to the murders occurring across the nation. Is it the actions of the same killer or is there a copycat? Then the unthinkable happens persons connected to Alex were being murdered, placing her in the position of trying to find the killer before anyone else is killed. Amid it all Alex has to contend with the possibility of her son’s ng expulsion from school for drug possession and betrayal from the love of her life, Brad. How much more can she handle? Whom can she trust? At first, it seems that all the threads are independent of each other, but as the story unfolds, the connection between each of them is revealed. Each revelation is just as shocking as the one before. 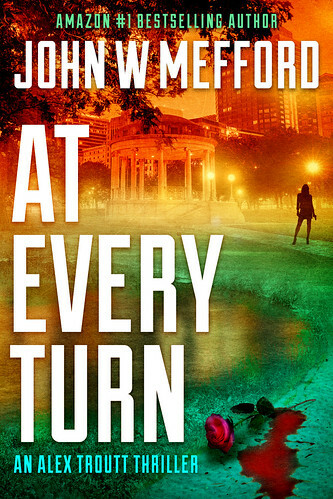 At Every Turn is a gripping tale, which had me on the edge of my seat as I tried figuring out who was responsible for the murders. With a wide suspect pool, it was difficult figuring out the identity of the perpetrator. When it became clear that there might be a link to Alex it made it easier to figure out the killer’s identity and motive. 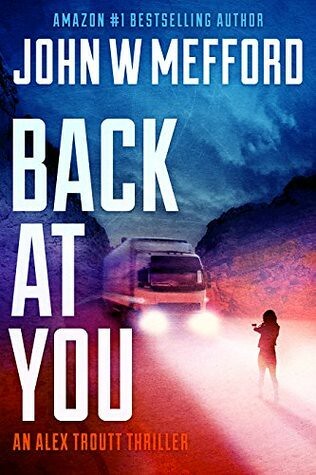 A well written, edge of your seat and fast-paced read, which I had a hard time putting down. Stirring and gripping, At Every Turn will not only leave you breathless but will have anticipating what next is in store for Alex. Overall, this was a great addition to the series. 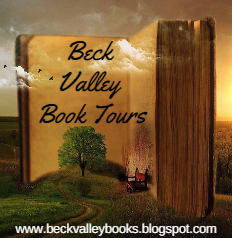 If you love fast-paced mysteries, filled with twists, turns, that will keep you guessing, then you will love the Redemption series. 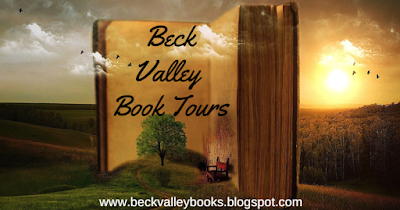 By now you're probably aware that the Alex Troutt thrillers, Ivy Nash thrillers, and the Ozzie Novak thrillers are all under the same Redemption Thriller Series umbrella. Why? Because, ultimately, they all connect -- Alex, Ivy, Ozzie. How? That's part of the mystery that I'm slowly unveiling throughout the Redemption Thriller Series. Through each sub-series, characters from different books appear in the other novels. If it adds suspense, intrigue, or even a good laugh, I've included a cross-over character -- it's a lot more fun that way. Plus -- and here's the real kicker -- the final six novels will bring all of the major characters together -- Alex, Ivy, Ozzie. It will be explosive and gut-wrenching…in a way that will leave you breathless. Amazon #1 Bestselling Author, #2 bestselling author on Barnes and Noble, and a Readers' Favorite Gold Medal winner. 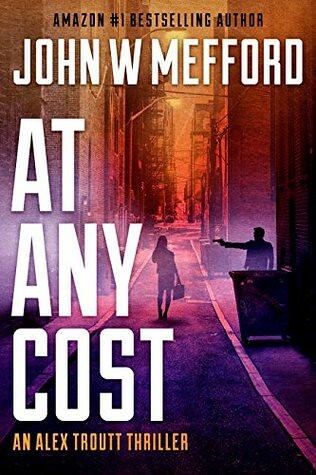 John W. Mefford has been writing his debut novel since he first entered the work force almost thirty years ago, although he never put words on paper until 2009. Once he started writing, however, he couldn't stop. Many readers ask John from where he gets his ideas. Well, he's a veteran of the corporate rat-race, a former journalist, and he's always been an astute observer of human and social behavior. On top of that, he's really good at embellishing. 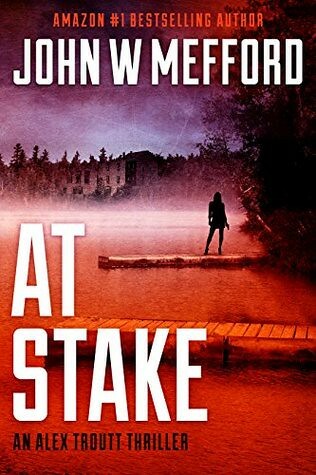 A member of International Thriller Writers, John writes novels full of electrifying suspense -- the same types of books he has loved to read since before he could shave. 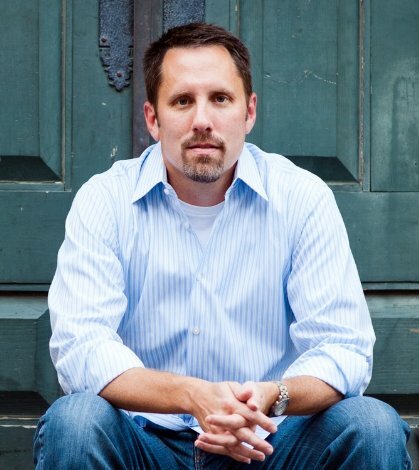 When he’s not writing, he chases his youth on bike or a basketball court, all while making mental notes of people and societies across the land. Open Worldwide Enter HERE Good Luck ! !